As the year 2016 will end, I can see that many travelers are mapping out their 2017 travel bucket list. For the past few days, I’ve been so busy engaging other travelers and collecting their travel experiences that I can add on my list for my 2017 travel destinations. Thus, my next year’s travel bucket list is compiled with unforgettable experiences for some of the travel experts and travel enthusiasts. Thelittlelai: Beyond Limits. Desultory traveler, Perth Paradise Resort: Our real goal, why we visit Sipalay City is because of the crowd-pleasing Resort in social media named Perth Paradise Resort, which is truly indeed a heaven. The moment we got down from the bus, we were looking for a food station to feed our hungry stomachs. Good thing that there’s a food place nearby. Shortly after breakfast, we had to look for a tricycle to bring us to Perth Paradise Resort. Then we talked to the drivers nearby and of course we haggled the price, but I guess our ability to haggle was not enough so we ended up agreeing to their given price. Angel Juarez. http://www.lakwatsero.com, Biliran Affair: With numerous islands and islets that make up the province, Biliran boasts of pristine white sand islands and beaches that lie on its vivid and bountiful water, as well as beautiful rice terraces and waterfalls that are tucked on its mountainous and volcanic terrains. It used to be under the jurisdiction of the Province of Leyte until it was separated in 1992 to form an independent local government composed of eight municipalities. 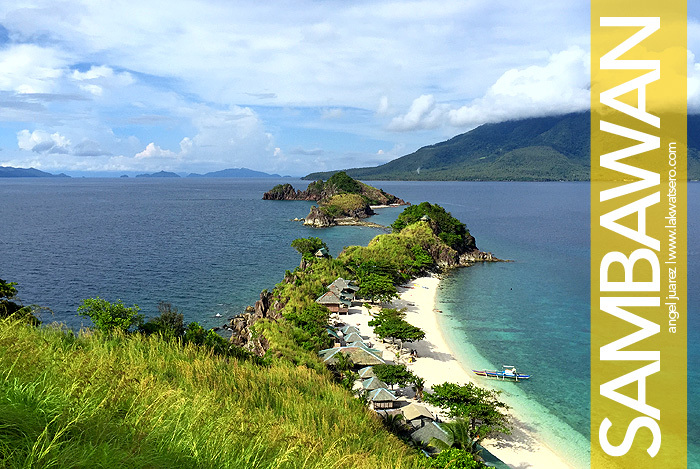 The province is composed of two major islands – Biliran and Maripipi – both are made up of potentially active volcanoes, smaller islands and islets surround the two including the famed Sambawan Island. Windy Mae, Travel enthusiast, Mt. Kiltepan: The heavenly place in “That thing called tadhana”. The view from the famous scene “ayoko na”. Nestled up in the Sagada Highlands is a ridge called Kiltepan viewpoint. On this ridge, you can experience the euphoria of witnessing the Sun as it rises above the horizon, over a thick blanket of clouds. Located on the eastern side of Sagada, Kiltepan is a ridge/hill that is bounded by the barangays of Kilong, Tetep-an and Antadao, thus the name Kil-Tep-An. Below the ridge is an overlooking view of Kilong Rice Terraces, one of the several clusters of rice terraces found in this mountain town. Biyahe Ni Mi-Sai, traveler, Camiguin Island: The Sunken Cemetery of Camiguin Island marks the swept remains of the island’s rested locals. Driven underwater when Mt. Vulcan Daan erupted in 1870’s, the large cross has served the town’s people, as well as the tourists, a scenic spot to memorialize the departed buried there. Lonely Planet, travel expert/blogger, Vigan Attractions: The Crisologos, Vigan’s most prominent political dynasty, have converted their ancestral home into this strangely compelling family shrine. In addition to the mildly interesting family photos, personal effects, period furniture and impressive collection of indigenous Filipino headgear you may spot the bloodstained pair of trousers from Floro Crisologo’s assassination in 1972 and the old Chevy that Governor Carmeling Crisologo was in when she was (unsuccessfully) ambushed by gunmen in 1961. These are the top five destinations on my bucket list for 2017. One of the reasons why I only listed 5 provinces because I want to make this travels possible for the upcoming year. I am looking forward to more of it this 2017. I love my country so much and I want to explore more of the Philippines! But I am sure that there will be more travels within Cebu to be featured and I can share with anytime next year! Hope that I will have a fruitful travels this 2017! Haha that’s okay! One year is a long time! Added to my list. 🙂 Thank you! Hiiii!!!! I’m from Negros Occidental btw ☺ just let me know if you’re coming over to see the the treasures of Sipalay ☺ it’d be my pleasure to be with your company 🙌 all the best! Hi, sure..;0 Let’s plan for it..Add me on FB. What’s ur fb account sir? Yey!! ☺ when do u plan to visit sir? cheers for more travels in 2017!